Journey back to an Age of Aces! 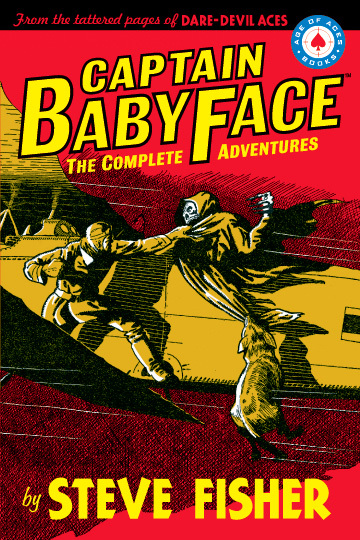 For Jed Garrett, “Captain Babyface” of the American Special Agent’s Corps, his orders are simple: Kill Mr. Death! But who is Mr. Death? One of Germany’s brightest chemists and inventors, he had grown weary of life and entered a monastery near Alsace-Lorraine. But war came and the monastery was bombed. Severely injured, German surgeons patched him back together, though he was left horribly disfigured. And now, sworn to vengeance against the Americans, he uses his evil genius for Germany in the “War to End All War.” Author Steve Fisher is best known for his hardboiled work in Black Mask Magazine and in novels like “I Wake Up Screaming”. 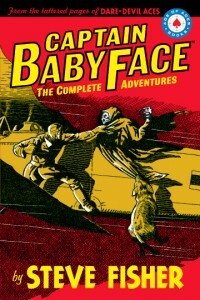 In Popular Publications long-running aviation pulp Dare-Devil Aces, he created the ten titanic tales of Captain Babyface. For the first time, they are presented together in one volume. This is the first in a series from Age of Aces Books that will feature some of the greatest aviation pulp heroes of the 1930’s.